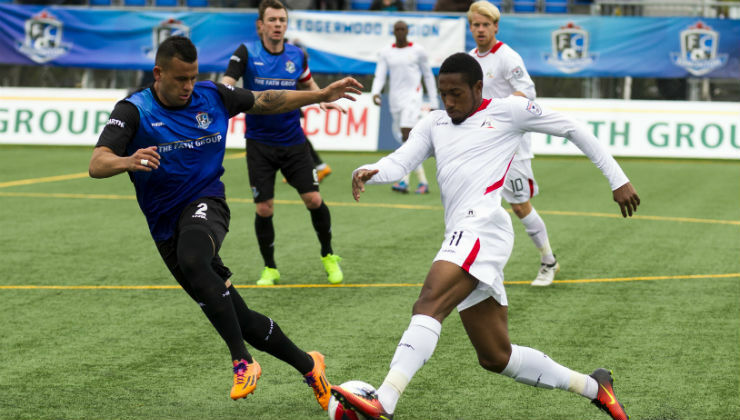 Sitting in second place with a few weeks remaining in the Spring Season, the San Francisco Deltas have had a strong start to their first-year in the NASL. Maybe more surprisingly, the club has been led by its form away from hom, having not lost a road contest in six games so far. Despite approaching each game in the same fashion, the bounces for San Francisco have gone their way more on the road than at home in 2017. In road games, though, the Deltas have been particularly stingy. The club has given up just two goals in their six games as Romuald Peiser has kept four of his five clean sheets this season away from Kezar Stadium. The nascent club's best performance to date came on a trip to Puerto Rico, when a pair of goals by Canadian interntational Kyle Bekker catapulted the Deltas to a 3-1 win over Puerto Rico FC. The Deltas, who are unbeaten in their last four league games, will be back on the road this weekend with a chance to remain in striking distance of first-place Miami FC with a result in Edmonton. San Francisco has had FC Edmonton’s number so far, defeating the Eddies in a pair of clashes already, by the score of 1-0. One of those wins included a victory at Clarke Stadium when Cristian Portilla’s free kick found its way into the back of the net. The Deltas kick off against the Eddies at 9 p.m. ET on Saturday night.